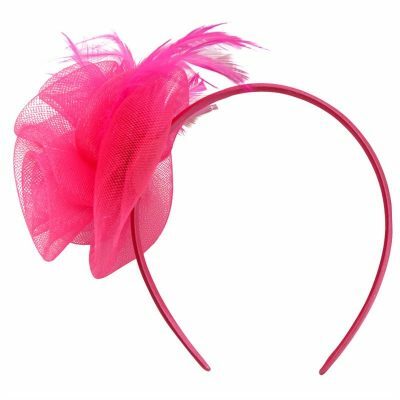 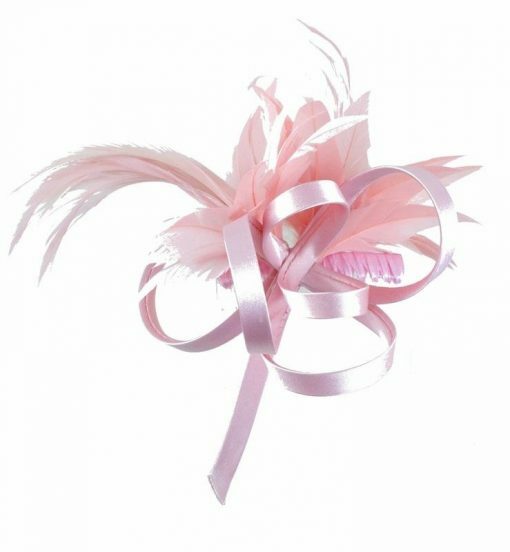 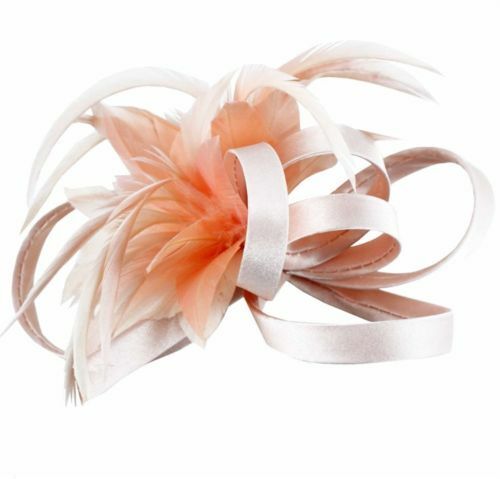 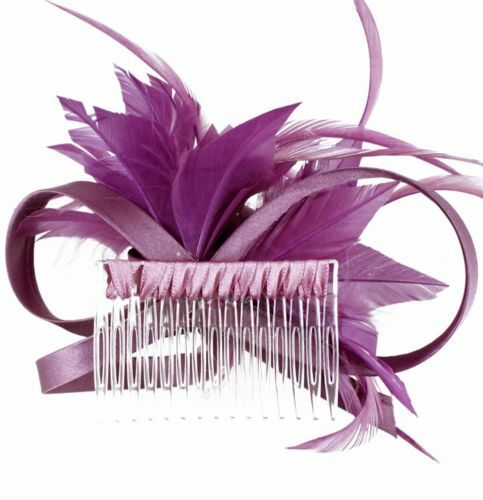 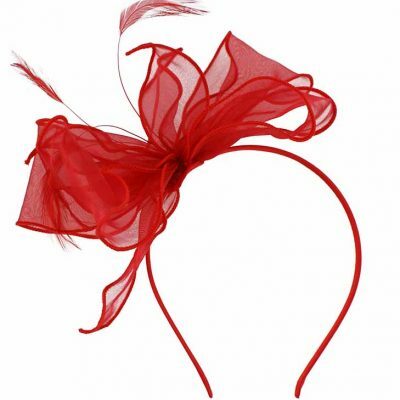 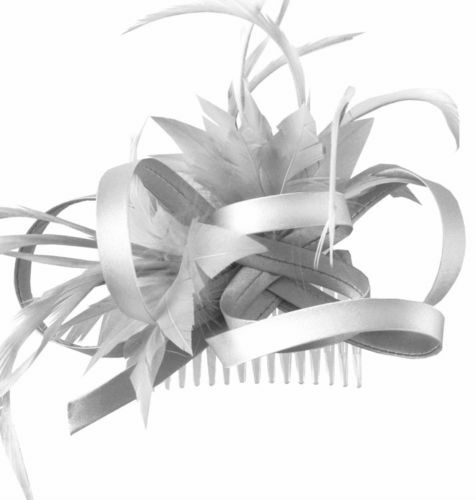 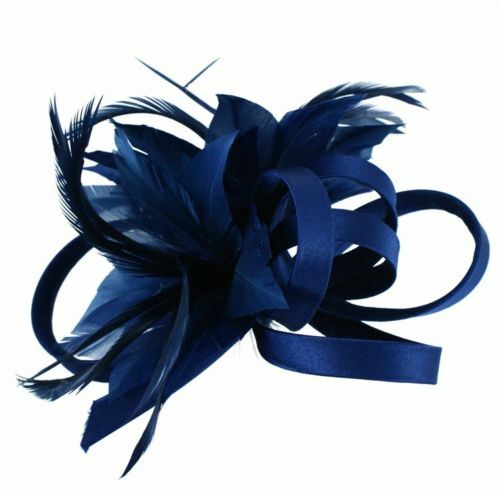 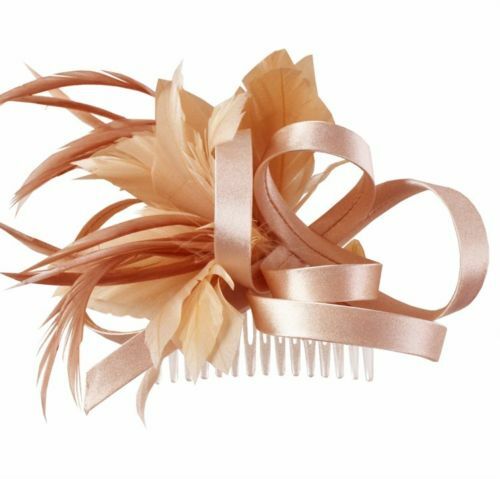 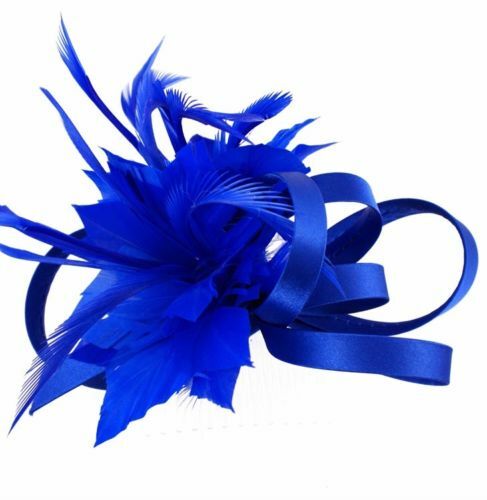 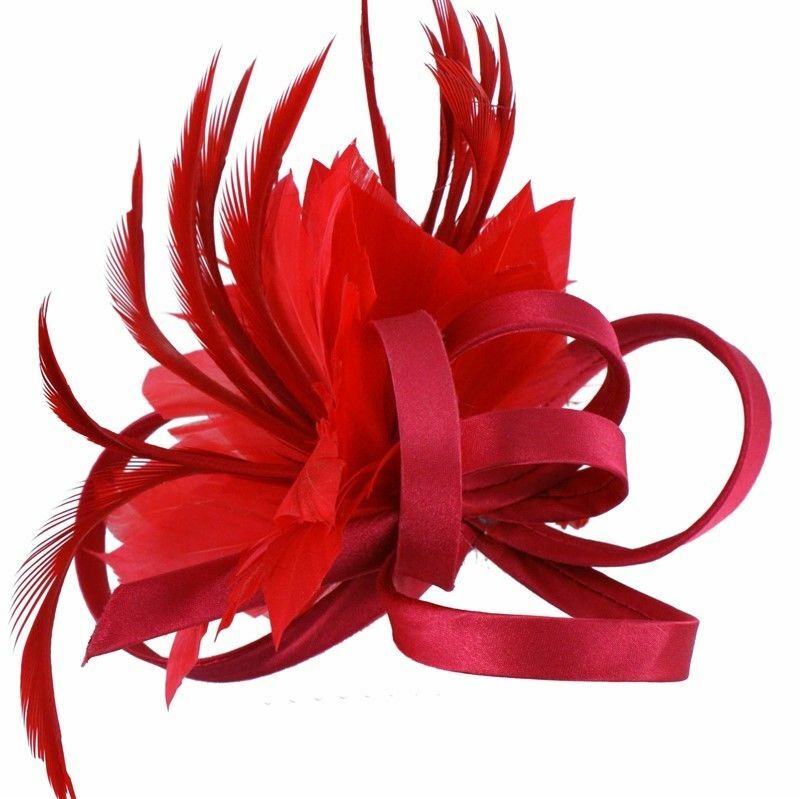 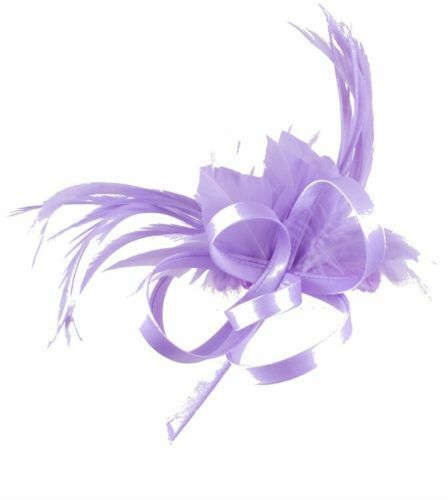 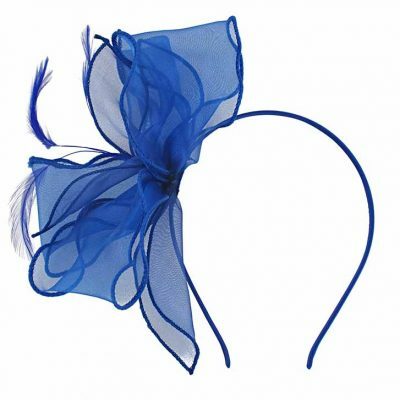 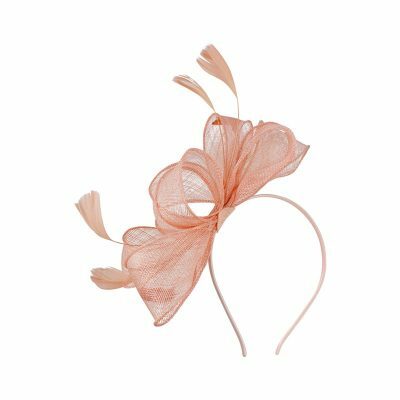 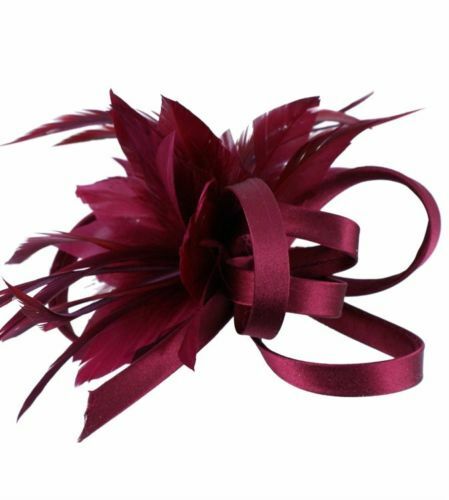 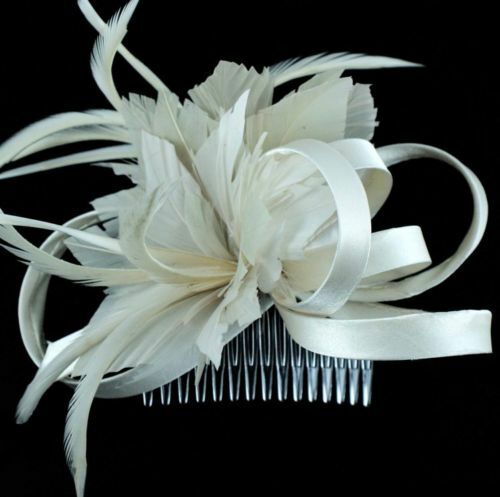 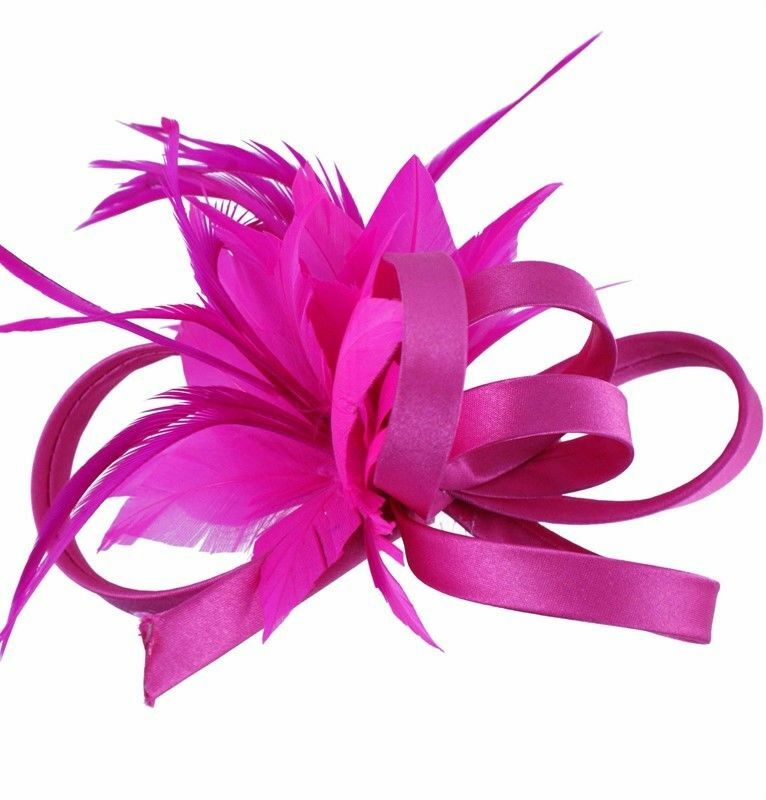 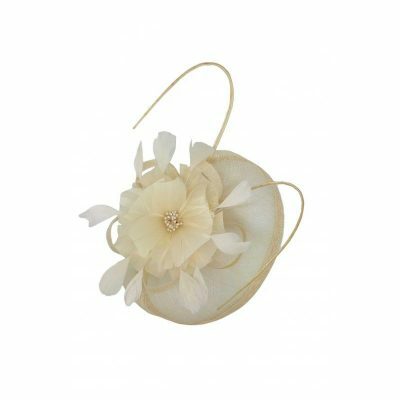 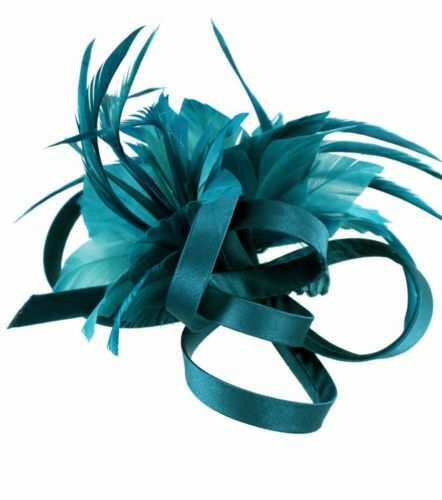 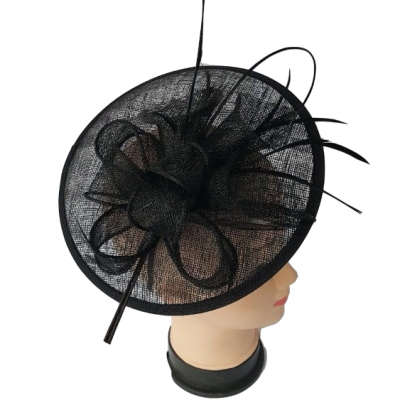 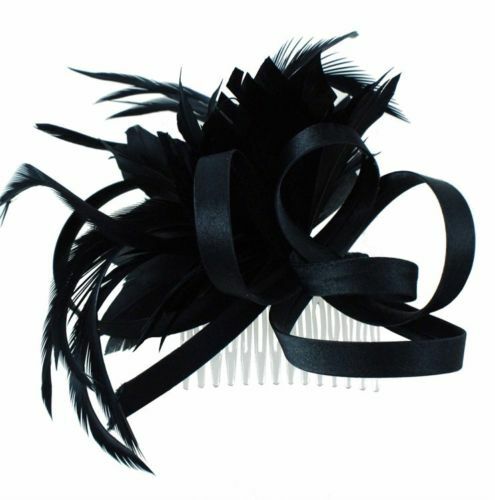 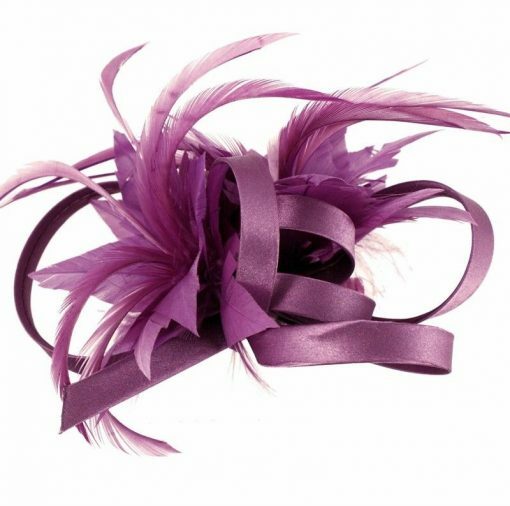 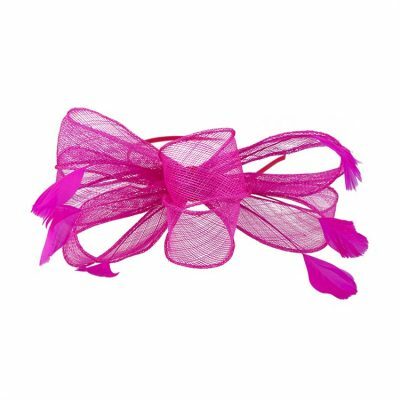 Comb satin loop fascinator with feathers. 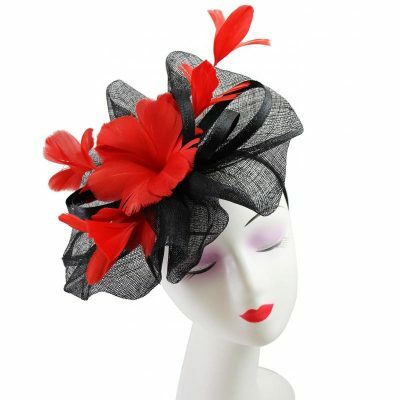 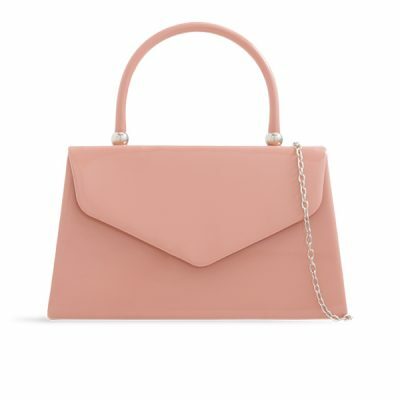 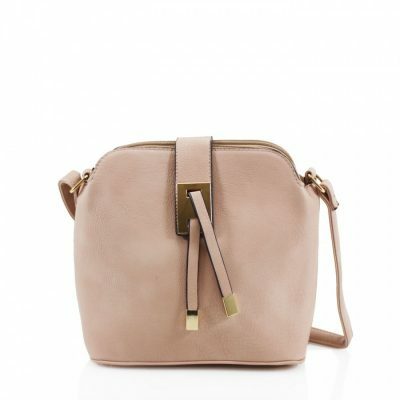 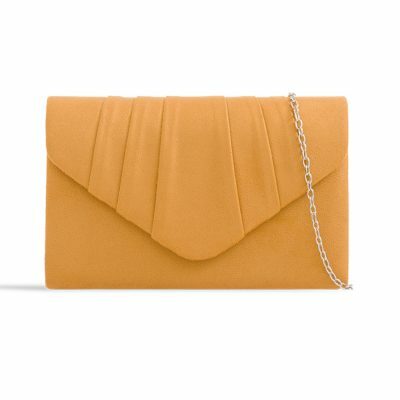 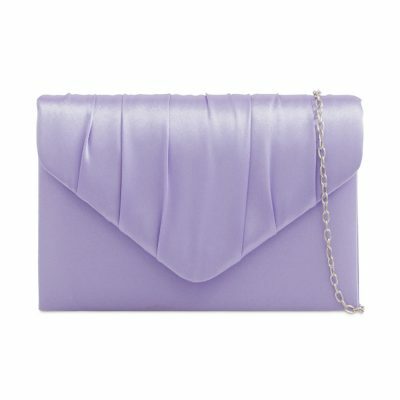 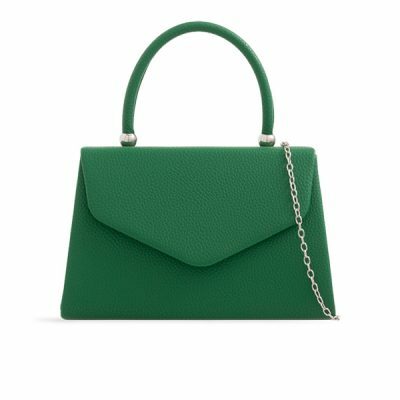 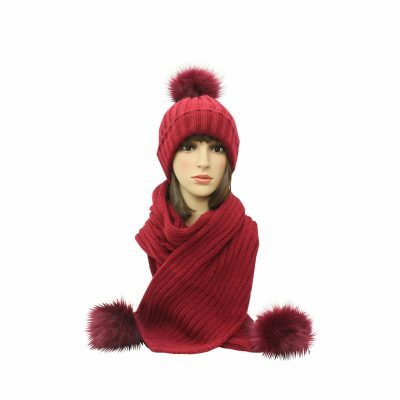 Available in a choice of bright colours. 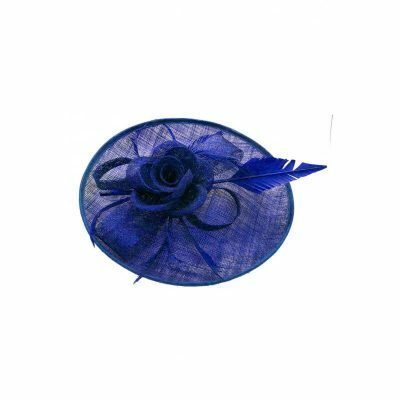 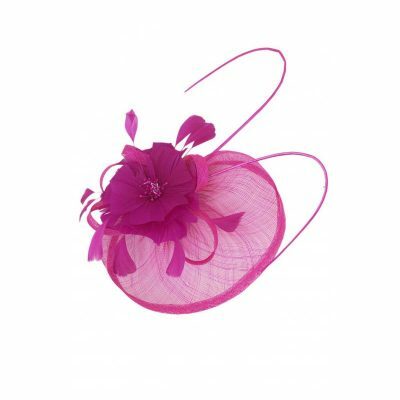 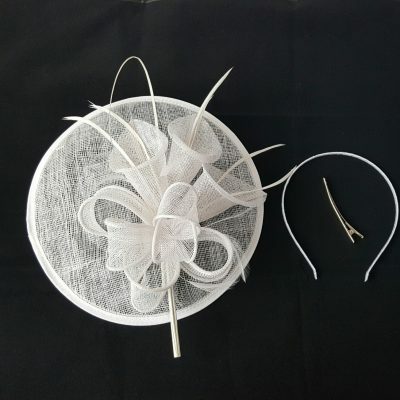 Fascinator measuring approx 14cm wide x 8cm.